The Green Fairy was symbolically removed on Tuesday from the police station in the town of Môtiers in the Jura mountains. 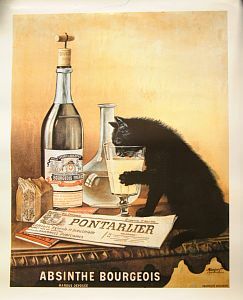 The ban on the sale and production of absinthe, which was introduced in 1908, was lifted today . The drink earned a reputation for being the tipple of choice of artists and writers.